Bad news for hipsters everywhere: Instagram won't work with Twitter anymore. 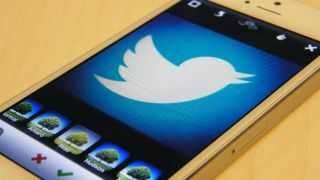 Last week, the retro photo filter company took the first step towards a clean break with the microblogging service by disabling support for Twitter Cards. This had the effect of making any Instagram snaps uploaded to Twitter to appear cropped. And now it's removed Twitter support altogether. So now, when you share an Instagram photo, only the link will appear. Looks like Twitter better get cracking with those photo filters it's rumoured to be working on. Twitter confirmed Instagram's action on its status blog. "Instagram has disabled photo integration with Twitter," the update reads. "As a result, photos are no longer appearing in Tweets or user photo galleries. "While tweeting links to Instagram photos is still possible, you can no longer view the photos on Twitter, as was previously the case." Instagram is now owned by Facebook, which is one of Twitter's arch rivals. So it makes sense for it to extricate itself from Twitter. Twitter is also rumoured to be working on its own photo filters. The tool could be available before the end of the year, according to reports over the weekend. Twitter CEO Jack Dorsey could already be testing the feature while out and about.